CMA Week sales offer a glimpse into the stars and others to watch in mainstream country music! 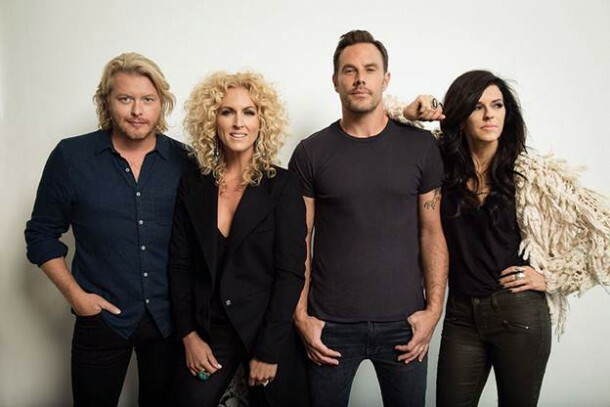 At #1 on Country Music's Top 30 Digital Singles: Week of June 11, 2015 chart report is Little Big Town's "Girl Crush." At #2 is Luke Bryan's "Kick The Dust Up." The track has scanned over 250k in three weeks. Sam Hunt's "Take Your Time" moves back to #3 (with over 1.2 million tracks sold) while Blake Shelton's "Sangria" sits at #4 and has now scanned 393k to date. Eric Church's "Like A Wrecking Ball" is up to #5 with sales now over 445k. Thomas Rhett's "Crash And Burn" returns to the Top 10 this week and has now moved 189k to date while Chris Janson is at #7 with "Buy Me A Boat." The song has scanned 160k to date. Billy Currington's "Don't It" is at #8 with sales at 355k and at #9 is A Thousand Horses "Smoke." They've now moved 404k to date. Canaan Smith rounds out the Top 10 with his now Gold eligible (as of this writing) "Love You Like That" single. It's the lead single from his debut album Bronco,out later this month. Notable tracks include Sam Hunt's current country radio single "House Party," Kelsea Ballerini's "Love Me Like You Mean It," Zac Brown Band's "Lovin' You Easy," Carrie Underwood's "Little Toy Guns" (it's at 302k now), Michael Ray's "Kiss You In The Morning" at 120k and Brett Eldredge's "Lose My Mind" which returns to the chart this week with sales now at 68k. Jake Owen is at 40k in two weeks while Easton Corbin also returns to the chart with "Baby Be My Love Song." Tyler Farr's "A Guy Walks Into A Bar" fell out of the Top 30 but it has now scanned over 500k to date. It's now a Gold eligible single for the singer of the forthcoming hit "Withdrawls." Tyler Farr "A Guy Walks Into A Bar"
Eric Paslay "She Don't Love You"
Hey Matt, do you know where the sales for Parmalee's "Carolina" are right now? I imagine it must be close to being platinum eligible. If I see it in the Top 100, I'll report it. It probably is close to Platinum eligible.